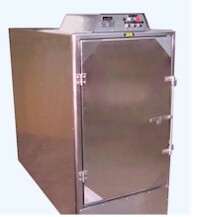 Larger Wash Chamber. Easily accommodates most Bariatric/ Geriatric Chairs as well as Walkers, Stands, Containers, Etc. 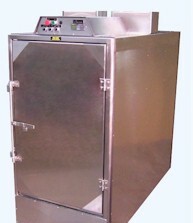 Taller & Longer than Standard AQ-3000. 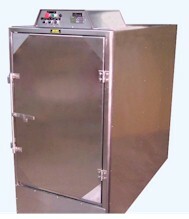 Available as single entry or pass-through double door model. A "takedown" slightly narrower than the AQ-4000. Factory assembled on-site. Modules are less than 48", clearing most doorways and elevators. Backboard Washer. Backboards are hung vertically while being washed. Endoscope Case Washers with rotating turntable.